The first time I tried mead was in Flagstaff, a little college town tucked into the pines at the base of Arizona’s tallest mountain. I was on vacation, visiting one of my closest girlfriends and her husband. One morning—or early afternoon, rather—Tony (the husband) handed me a glass of what looked like liquor. I gave him my most incredulous look and pointed at the high-reaching hands of the clock. “You’re on vacation!” he argued. I shook my head. “Maybe if it was a beer,” I said, “but you can’t start me off this early with liquor. I’ll never make it through the day.”  He pushed the glass under my nose—“It’s mead, not liquor. I made it. Myself.”  Oh, hell—I thought. He made it. I was obligated. I’m not sure what I expected, but surely it wasn’t the sweet, honey-like substance that I got. Even the dessert wines that I had sampled before were no match for this… what was it called? What was it? Mead? Upon my questioning Tony gave me a brief description of mead—it is made from honey, fermented like wine, but is usually much stronger. His explanation, however, fell far short of what Tere gave our listeners in last week’s episode of Steeping Around. After sampling the oolong-infused mead from Volcano Winery, gifted us by the fine folks at Tea Hawaii & Company, Tere surprised Manish with her wealth of knowledge on the fermented treat. She knew the history of mead, the ingredients, and even a recipe, all of which she shared with the audience on the episode Mead, Mead, Mead. Tere’s husband Keith also makes mead on a regular basis, and I’ve had the pleasure of trying his as well. Keith brought a bottle along to a holiday party last year, and all of the Maya Tea employees passed it around and complimented him on its slight, delicious peach flavor. What I didn’t realize at the time, however, was that the flavor came from tea. 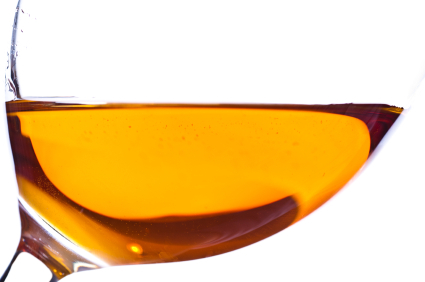 The recipe for mead includes honey (a lot of it), water (less than you would think), and yeast. It’s that simple. Each ingredient can be experimented with to change the ultimate flavor of the mead—for example, a honey from the wildflower season in Tucson will produce a much more flowery mead than, say, one from the piney town of Flagstaff. Different types of yeast will alter the ultimate alcohol content (both Keith and Tony prefer a stronger product). And even the water can be altered, by infusing it. This technique gives the person creating the mead the utmost flexibility and creative freedom. The folks at Volcano Winery infused their water with the oolong teas grown by their partners on the Hawaiian islands. Keith’s was infused with Maya Tea’s Ginger Peach black tea. He and Tere have more recently made mead infused with our holiday tea, Santa’s Gingerbread, and swear by it. My experience has limited me to the fruity and plain varieties, but I imagine that a spicy, gingery mead would be well worth a try. As I said, I didn’t realize that Keith’s mead was made with tea when I first tasted it. I didn’t realize it until two weeks ago, as I edited the podcast and Tere explained the methods that she and Keith used in production. I was utterly surprised, but perhaps I shouldn’t have been. After all, I know better than most how useful tea can be in the kitchen, how wonderful a flavor it can add to meats, breads, desserts, and even liquors. I’ve read articles about it. I’ve written blogs about it. We’ve had prior episodes of Steeping Around all about it. I should have known, and henceforth will try to remember: where there’s water, there can be tea. And it will taste great.